George Lewis’s Afterword is an opera developed with longtime collaborators Catherine Sullivan and Sean Griffin, that constitutes an aesthetic extension of Lewis’s 2008 book about the Association for the Advancement of Creative Musicians (AACM), A Power Stronger Than Itself: The AACM and American Experimental Music (University of Chicago Press). Founded on the South Side of Chicago in 1965, the AACM has played an internationally recognized role in American experimental music. Now in its fiftieth year, the AACM’s unique combination of artistic communitarianism and ardent experimentalism inspired the Afterword project. This concert version serves as a preview of the musical elements of the project. Despite its nominal designation as an “opera,” Afterword departs markedly from operatic convention. Future, fully staged performances are envisioned as combining pre-structured music, text, scenography, and movement in juxtaposition with analogous elements improvised in real time. The opera’s singers will be called upon to act and move, as well as taking on multiple roles, creating and transforming their own appearances and personae. Los Angeles composer and director Sean Griffin’s performance and musical works are animated by dense rhythmic structuring and improvisation, and range from instrumental works to immersive operas, extended choral techniques, installation, rhythmic games and movement patterns. Griffin is the Director of Opera Povera, an interdisciplinary consortium devoted to the creation and performance of new operatic and interdisciplinary performance and exhibition projects for which he received a grant from the Center for Cultural Innovation in 2011. Recently, he was a Mellon Fellow for Arts Practice & Scholarship at the University of Chicago’s Gray Center for Arts and Inquiry. Griffin has received numerous residencies, including Yaddo, MacDowell, and EMPAC, and his collaborative works have been presented at venues including REDCAT, LACMA, Armand Hammer Museum, June in Buffalo, MATA Festival, Berlin’s Volksbühne, Secession Vienna, London’s Royal Academy and the Tate Modern, Walker Art Center, He received an MFA from CalArts and a Ph.D. from the University of California, San Diego. Catherine Sullivan has produced several films, performances and theater works wherein the performers are often coping with written texts, stylistic economies, re-enactments of historic performances, gestural and choreographic regimes, and conceptual orthodoxies. The works address a broad spectrum of historical and cultural reference and often involve multiple collaborators. She holds BFA in Acting from California Institute of the Arts and and MFA in Fine Art from Art Center College of Design. Her work has been exhibited nationally and internationally at a wide variety of venues such as the UCLA Armand Hammer Museum, Los Angeles; The Whitney Museum of American Art, New York; Secession, Vienna; Tate Modern, London; Opéra de Lyon, Lyon; Volksbühne, Berlin and The Renaissance Society at the University of Chicago. She is represented by Metro Pictures, New York, Galerie Catherine Bastide, Brussels and Galerie Christian Nagel, Antwerp/Berlin and is an Associate Professor in the Department of Visual Arts at the University of Chicago. Afterword is supported by the Richard and Mary L. Gray Center for Arts and Inquiry, Mellon Fellowship for Arts Practice and Scholarship; the Multi-Arts Production (MAP) Fund in conjunction with the Museum of Contemporary Art Chicago; and the Edwin H. Case Chair in American Music, Columbia University. The International Contemporary Ensemble (ICE), described by the New York Times as “one of the most accomplished and adventurous groups in new music,” is dedicated to reshaping the way music is created and experienced. With a modular makeup of 35 leading instrumentalists, performing in forces ranging from solos to large ensembles, ICE functions as performer, presenter, and educator, advancing the music of our time by developing innovative new works and new strategies for audience engagement. Since its founding in 2001, ICE has premiered over 500 compositions––the majority of these new works by emerging composers––in venues spanning from alternative spaces to concert halls around the world. The ensemble has received the American Music Center’s Trailblazer Award for its contributions to the field, the ASCAP/Chamber Music America Award for Adventurous Programming, and was most recently named Musical America Worldwide’s Ensemble of the Year in 2013. In 2011, with leading support from The Andrew W. Mellon Foundation, ICE created the ICElab program to place teams of ICE musicians in close collaboration with six emerging composers each year to develop works that push the boundaries of musical exploration. ICElab projects have been featured in more than one hundred performances from 2011–2014. In 2014 ICE launched the OpenICE initiative to bring the full scope of ICE’s programming and educational activities for free to broader audiences around the world. 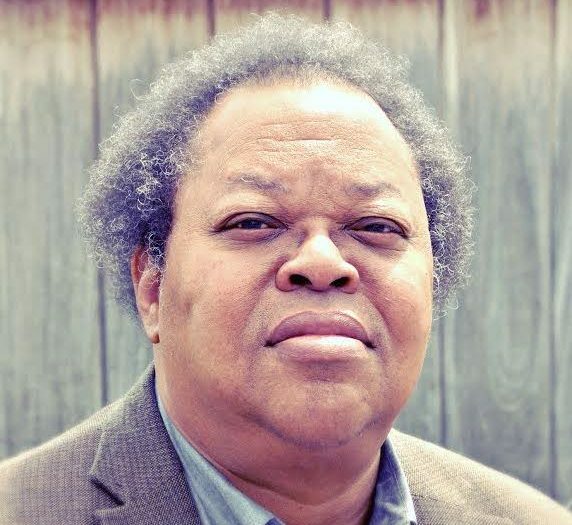 George Lewis: Afterword, The AACM (as) Opera + International Contemporary Ensemble was supported by New Music USA. To follow the project as it unfolds visit our project page. George Lewis: Afterword, The AACM (as) Opera + International Contemporary Ensemble was supported by New Music USA, made possible by annual program support and/or endowment gifts from Helen F. Whitaker Fund, Aaron Copland Fund for Music, New York City Department of Cultural Affairs, Mary Flagler Cary Charitable Trust.